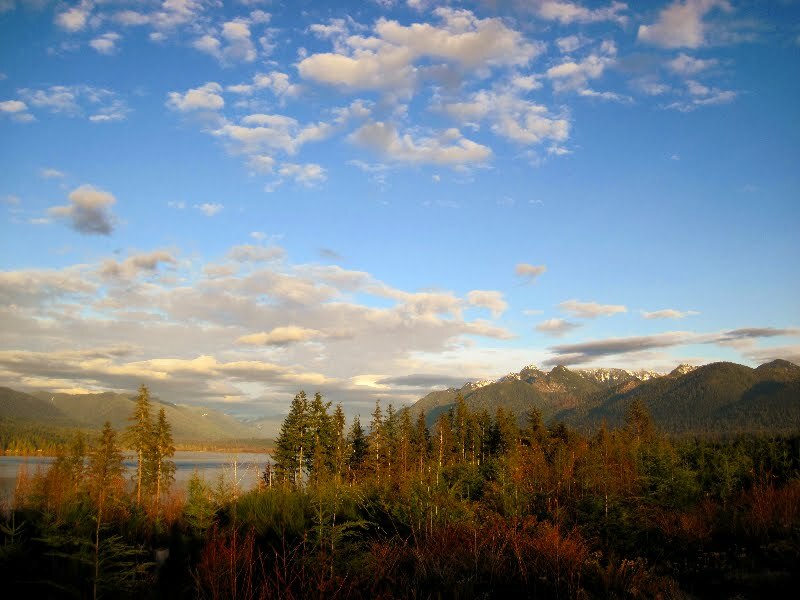 It was a weekend adventure on the lush Olympic Peninsula and my first trip to Washington State. Our plan, in American family road-trip-style, was to wander aimlessly and see what we discovered. 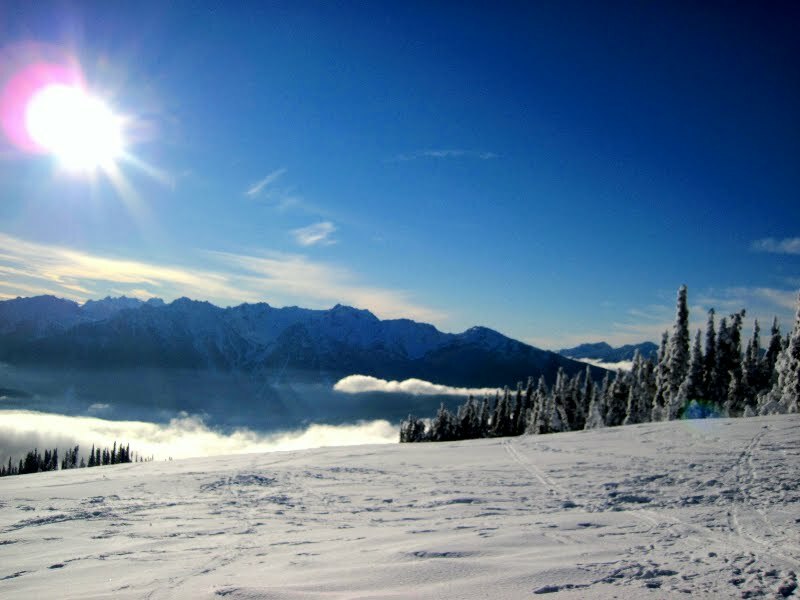 We spent the first day sledding and in awe of the high mountains, evergreens, deer everywhere and the glistening of icicles. Then I saw it on the map, Forks - yes the town of vampire fame - and even though I only got through book one and thought it was the worst load of crap I'd ever read, I desperately wanted to go. Upfront I'd like to say that I hold nothing against people who love the Twilight series - I know lots of intelligent people who can't get enough of them, but I am not part of their club. 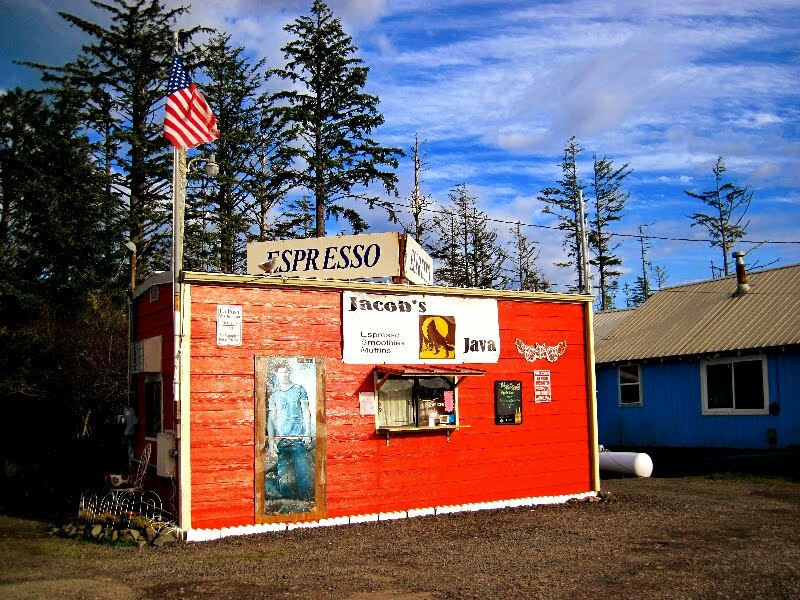 What made me want to go to Forks was the dramatic old-growth forest scenery in the movies and an obsession with all things trendy in the tourist world that surely comes from my job. So we went, with an OK from my husband and son and full support from my teenage daughter who knew the visit would give her lots of street cred with her friends back in Tahiti. Highway 101 winds through never-ending pine forests covered in moss, clear blue lakes and, unfortunately, clear-cuts. I was hoping the forests would get taller and thicker as we approached Forks, but no, it was all pretty much the same and beautiful in a new-growth sort of way. 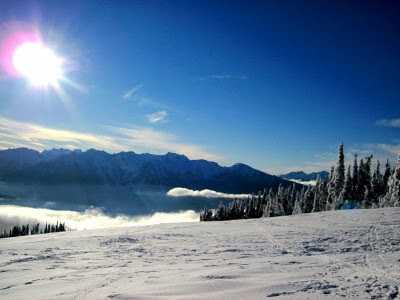 Right as the "Welcome to Forks" sign came into view a bald eagle swooped across the road and landed in a nearby tree. This seemed to bode well for the town. 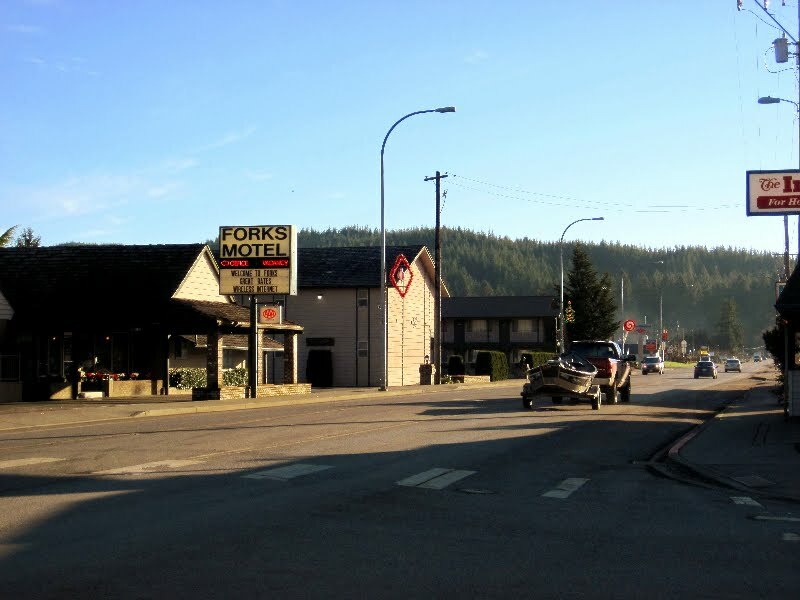 My pre-Twilight Lonely Planet guidebook describes Forks as a "one-horse logging town," and that's a really nice way to put it. Flat, treeless highway 101 is the main drag that's bordered by basic 50s-era necessity shops, a couple Americana diners and now three Twilight shops: one for the vampires, another Native American-run one for the werewolves and another that is the office for three-hour Twilight tours of town and beyond. We didn't have time to go on a tour but we did stop in a diner for a meal. The food was good as anything is when slathered in cheese and mayonnaise, and the place was full of locals who all smiled at us. On the door was a long list of Fork's men currently away fighting America's wars and when I asked the waitress about it she said there were pages worth that weren't even on the list. Since Forks has a population just above 3,000, that's a huge percentage of the town's men who are off risking their lives in the army. And it's that kind of town: not pretty at all, but down-home, very American and you can feel that it's filled with the kind of people who drink beer, go to church and play lots of board games in winter. 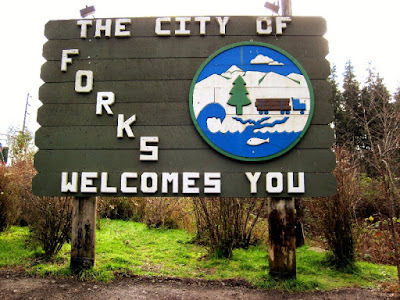 I like Forks, it's a real working town and vampires probably wouldn't want to live there. 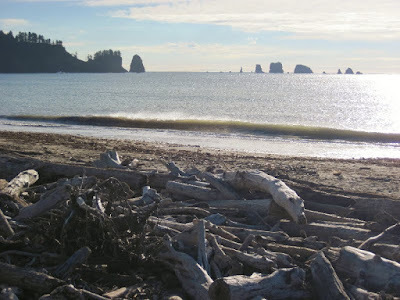 Next we decided to check out La Push on the coast and by doing so accidentally wandered into werewolf territory. We passed through lots of very shabby trailer communities, tract homes and clear-cuts, then into new growth forest that led to the coast. Where Forks has got sort of into the whole Twilight thing, the Quileute Tribe has embraced it completely. I had no idea, but this tribe really does exist, they are probably the most ancient inhabitants of the Pacific Northwest and legend says they were fashioned from wolves. So on every building is a red and black native stylized painting of a wolf - they are the wolf tribe and always have been, long before Twilight came around. 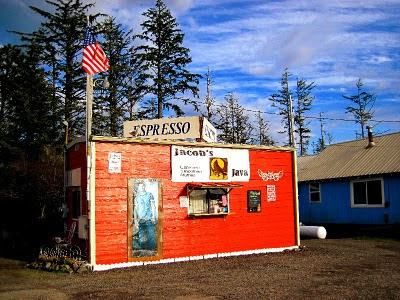 Just before the coast someone has put up a sight saying "No Vampires Beyond This Point," and in La Push is "Jacob's Java" coffee shack. My daughter and I were hoping for buffed shirtless men running around but again, no, La Push is a near ghost town on a Sunday. The beach is loaded with driftwood and looks out over basalt islands along the coast. It's a beautiful, quiet tribal town, a little rubbish-clogged around the edges, and it made we wish we could stay there a night or two to really feel the place out. There are a bunch of other nearby beaches and hiking trails leading along the coast. And then we had to move on because of course, we were on a road trip. The highlight of the return to Portland was a drive through Aberdeen, hometown of Kurt Cobain - it's a depressing, industrial concrete mass that makes Forks look like a resort town. I feel I understand Kurt's angst much more now. We blasted "Smells Like Teen Spirit" and bombed home to our new home city where vampires are much more likely to exist than anywhere we'd been that day.